The American Chemical Society’s division, the Chemical Abstracts Service (CAS), is currently taking applications for a part-time information specialist. This position, located here in Columbus, OH, will require accepted applicants to build databases in order to support chemical literature curation into CAS products. CAS is looking for either students with a sophomore standing or above majoring in Chemistry, Biochemistry, or Chemical Engineering, or a recent graduate with a related degree. Applicants should have completed at least one course of Organic Chemistry coursework, and be able to work part-time for 12-18 months. More information about the position, as well as the application, can be found here. Any additional questions about the position may be directed to Jen Schule, Senior Recruiter at CAS. Looking for grad schools to attend? The University of Wisconsin-Madison Department of Chemistry is hosting a graduate program early preview weekend! This program is called the CHOPs (CHemistry OPportunities) and it will showcase the exciting research, great facilities, and collaborative atmosphere of the Department of Chemistry. CHOPs is an all-expense paid trip that gives potential applicants an opportunity to visit Madison and the Department before applying to graduate school. It is from Sept 12-15, 2019. Don’t miss this exciting and exclusive opportunity to see this graduate program! 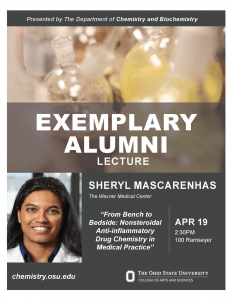 Texas A&M University-Commerce Chemistry M.S. If you are a graduating senior with a B.S. in chemistry or biochemistry and aren’t yet committed to a graduate program, consider applying to Texas A&M Commerce’s chemistry M.S. program. If you are interested in chemical or biochemical research, you are especially encouraged to apply! Texas A&M offers 3 chemical M.S. degrees: the Professional Chemistry Track, the Professional Chemical Business Track, and the Professional Chemical Education Track. Apply here. For additional application information, you may contact Graduate Advisor Dr. Laurence Angel at Laurence.Angel@tamuc.edu or Department Head Dr. T. West at Thomas.West@tamuc.edu. The National Energy Technology Laboratory (NETL) is taking applications for a research opportunity. Accepted applicants will research and develop power electronics applications for interfacing between solid oxide fuel cell (SOFC) systems and utility grids. This research opportunity is located in Morgantown, WV as well as Pittsburgh, PA.
NETL is looking for graduate, post-bachelors, post-masters, and post-doctorate students with experience designing and implementing controllers for single- and three-phase inverters as well as electrical test equipment, knowledge of MATLAB/Simulink/PLECS simulation tools, and familiarization with distribution class, medium voltage converters. Apply by June 1, 2019. For more information about the program, visit this site. Applicants must email a CV to Paul Ohodnicki, as well as submit an application. The application for post-bachelors and graduate students is found here, and the application for post-masters and post-doctorate students is found here. 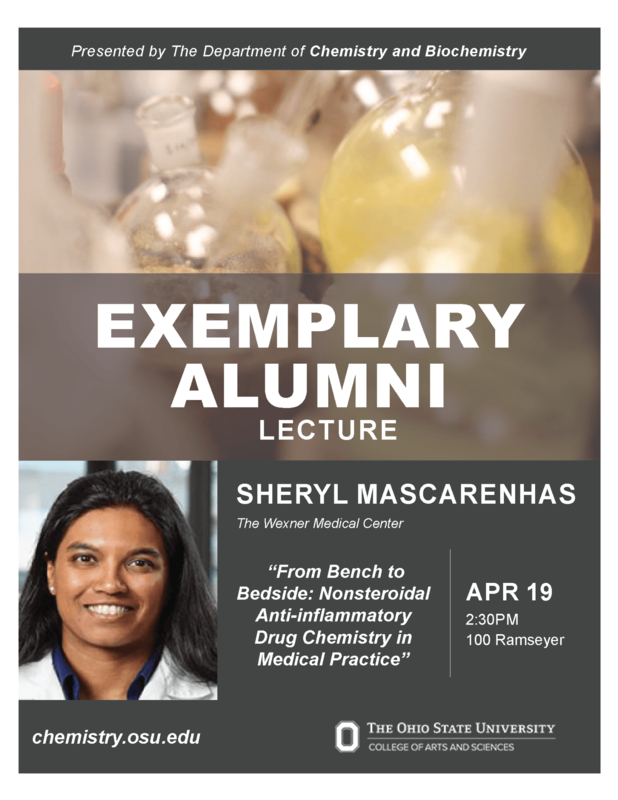 Catch Sheryl Mascarenhas in 100 Ramseyer Hall on Friday, April 19th at 2:30 to hear her lecture on Nonsterodial Anti-inflammatory Drug Chemistry in the medical field. The Coca-Cola Science & Regulatory Affairs Department is hosting an internship position for summer 2019. Applications are open for any student (undergraduate or graduate) in a chemistry or biochemistry major. This paid internship will be located in Atlanta, Georgia, for 10 weeks starting around May 20th and finishing with a capstone presentation in August. Accepted students are expected to have excellent interpersonal, written, and oral communication skills, to be able to perform well in a challenging, dynamic environment, and to be a team player with a high level of commitment. If you are interested in this position, email your resume directly to Charles Frohman. If you are a soon to graduate chemistry major and are looking for a teaching job, Southern Teachers can help! Southern Teachers is a free service that works to connect science teachers with private college prep schools in the South. Typically, these schools do not require completion of a teacher-training program. Southern Teachers is looking for prospective graduates who are successful, smart, charismatic, and want to motivate high school and middle school students to become excited about science. Apply here. Application due: March 22nd! Apply now! 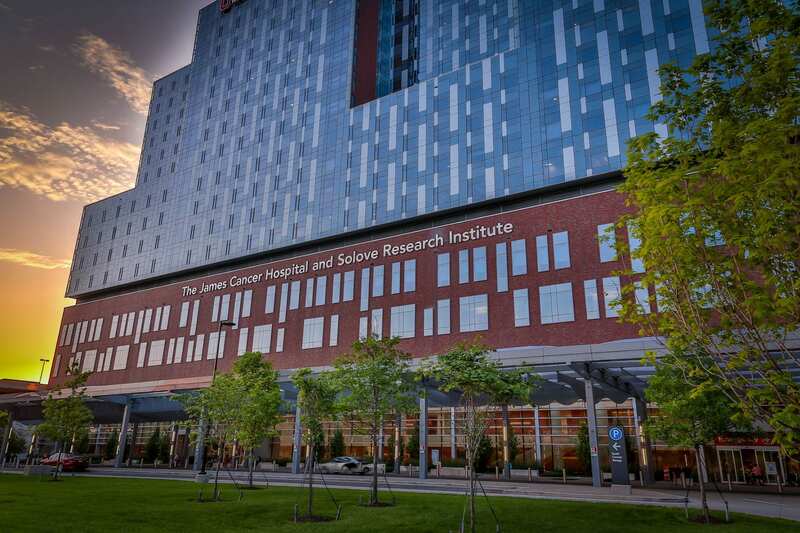 The James Cancer Hospital is currently accepting student volunteer applications for the 2019 summer semester! Interview invitations will be sent shortly after the application window closes, in which students will need to provide a letter of recommendation and a copy of their resume. Interviews will be held on April 12th, 2019. Students must be available from May 8th, 2019 to July 26th, 2019 and will volunteer regularly each week, most shifts being 2 hours in length. For more information on the volunteering position, check The James Cancer Hospital website. The application can be found here. Applications are due March 22nd. 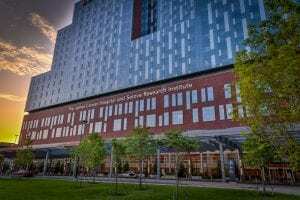 The University of Kentucky is now offering a Masters degree in Forensic Toxicology and Analytical Genetics. This degree focuses on both Forensic Toxicology/Chemistry and Analytical Genetics/DNA, and is currently accepting applications for fall semester, 2019. The Forensic Toxicology and Analytical Genetics degree will provide students with two internships which will prepare students for their careers, as well as preparation for courtroom testimony. Students who are interested may contact Dr. Isabel Mellon or the department of Toxicology and Cancer Biology. More information about the degree and the application process can be found on their website. Apply to be a General Chemistry TA in Autumn 2018! The Department of Chemistry and Biochemistry hires over 50 outstanding undergraduates per semester to teach our General Chemistry course. If you’d like to improve your content knowledge at your job, help students through problems and get teaching experience, TAing could be for you! Responsibilities: Teach 1-3 hour lab; promptly grade assignments and prepare for teaching responsibilities, 1 weekly office hour; proctor all exams, attend weekly staff meetings and beginning of the year training beginning Monday, August 12th. Conflicts with training should be stated on your application and be described in detail, if possible. Apply online now! After the submission of your application, the department will reach out to you to ask you to submit a schedule. Submitting a schedule does not guarantee a position. All applications, including schedules are due by May 3rd, 2019, and hiring decisions will be made in early July. Please contact the Lab Supervisors (chemlabsupervisor@osu.edu) if you have questions about the application process. We're always looking for more great features! Please drop us a line to tell us about a Chemistry or Biochemistry instructor or course you loved, your summer research or study abroad experience, your life after OSU, etc. We'll be in touch to feature your story on the blog. May we contact you for more details?